The island of Oahu is a vibrant mix of natural and cultural wonders with the modern arts, entertainment and amazing food. You can check out pro surfers charge the big waves of the legendary North Shore, or soak up the sun and take surfing lessons on Waikiki Beach. Oahu makes for the perfect girls’ getaway, so make sure to check out our guide to Oahu! 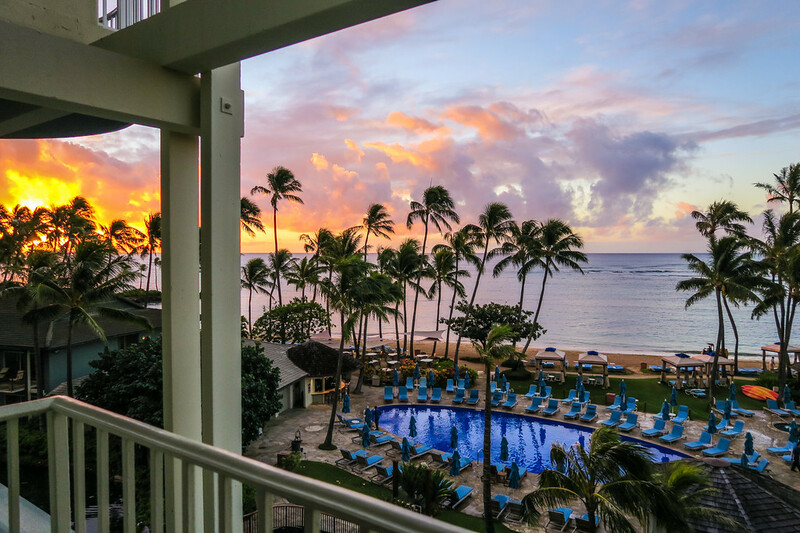 Oahu has no shortage of beautiful hotels and villas, but when it comes to idyllic retreats, I recommend The Royal Hawaiian or Kahala Hotel & Resort. The Royal Hawaiian is a sweet, pink resort right on Waikiki Beach. Stay in a luxurious suite in the historic building, or opt for the fashionable oceanfront rooms in Mailani Tower. The Kahala is world-class opulence, featuring stylish restaurants, a pampering spa, and a private lagoon with its own resident dolphins! Grab your girlfriends and go visit the beautiful Byodo Temple on the windward side. Built to commemorate the first Japanese immigrants in Hawaii, the temple is more exhibition than functional but is complete with a Lotus Buddha statue, lush Japanese gardens, koi ponds, and crooning peacocks. Admire a scenic drive with a day’s exploration of the North Shore. Less developed than Honolulu, the north of Oahu is a beautiful, vivid area with a laid-back, country feel- it is also a legendary surfing capital of the world. While you and your gal pals are cruising the shore, stop by Giovanni’s Shrimp Truck on the Kamehameha Highway. It has locations in Kahuku and westerly Haleiwa. A converted 1953 bread truck now offers some of the tastiest shrimp you’ll ever try- mouthwatering scampi, lemon butter, and hot and spicy shrimp shrimp shrimp! Nothing says “Hawaiian-style” so as much as shave ice! On Oahu, flavors like red bean, passion fruit, and guava are as ubiquitous as the dessert shops that sell them. While Matsumoto’s shave ice is allegedly the best on the island, just a block away lies a tiny shave ice truck with next to no line and delicious bowls of pineapple and li hing mui ice. The KCC Farmer’s Market is an awesome market, where you’ll find local food, drinks, and even some crafts. The tropical fruits are arguably the main highlight; you’ll see them almost everywhere… but not on the mainland! Dragonfruit, white guava, young coconuts—need I go on? Grab your nectarean delights before your flight out! Make your own head lei at the Flower Crown Workshop at Paiko. Best enjoyed with a few of your girlfriends, this outdoor workshop will teach you to sew together your very own flower crown. Choose from a rainbow of fresh blossoms: hibiscus, orchid, yellow ’ilima, candlenut, plumeria—the choices and combinations are endless! Trekkers can enjoy a beautiful hike to the elegant and ever-popular Manoa Falls. The path will lead you through tropical forest past old park buildings, large boulders, and delicate bamboo and ginger. Besides breathtaking views and natural aromas, the area is the famous filming location for Lost and Jurassic Park. Just be sure to wear the proper shoes (it gets muddy! ), sunscreen, and insect repellent. 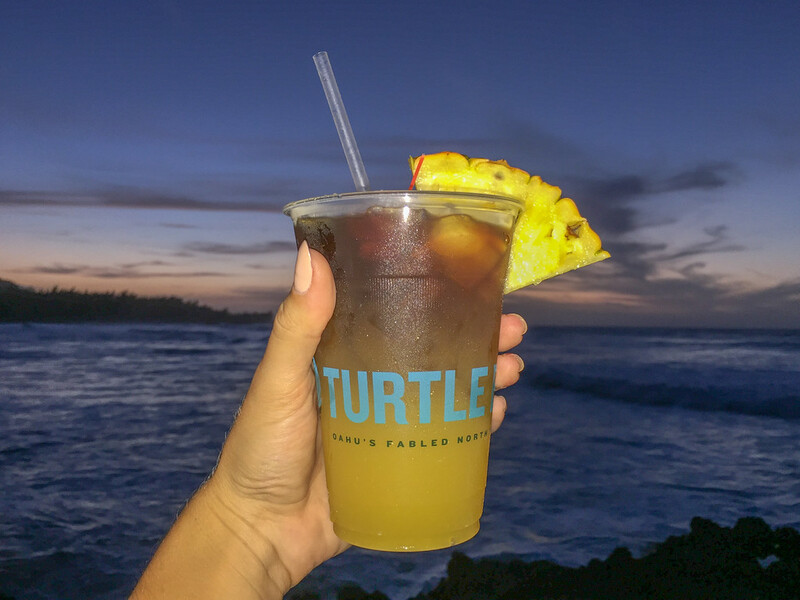 Grab a few drinks and recline at Turtle Bay Resort, the multi-million dollar resort on Oahu’s North Shore. Kick back at Surfer Bar with some local cocktails and enjoy nightly music and crispy calamari during Happy Hour—weeknights from 5 to 7. Nothing says Hawaii like fresh aki poké, a raw fish appetizer served with soy sauce, sea salt, roasted candlenut, sesame oil, seaweed, and chili pepper. Freshly caught poké is hard to come by, even in Hawaii, so best to try your luck with a local. Foodland supermarkets have a huge poké and poké bowl selection- come early in the morning for the best taste! Finally, it’s time to join the gals for some fun in the sun! Learn the ropes of Hawaii’s most popular sport from the best surf instructors on Oahu. Whether you’re a beginner or want to develop your skills with the help of professionals, this is the company to surf with. You’ll learn loads about yourself and the ocean, and you’ll also have great stories for folks back home! Shop My Favorite Tropical Vacation Essentials! I love this blog so much!! This one is fantastic to share.